Reply, 'Miss Blacket'. 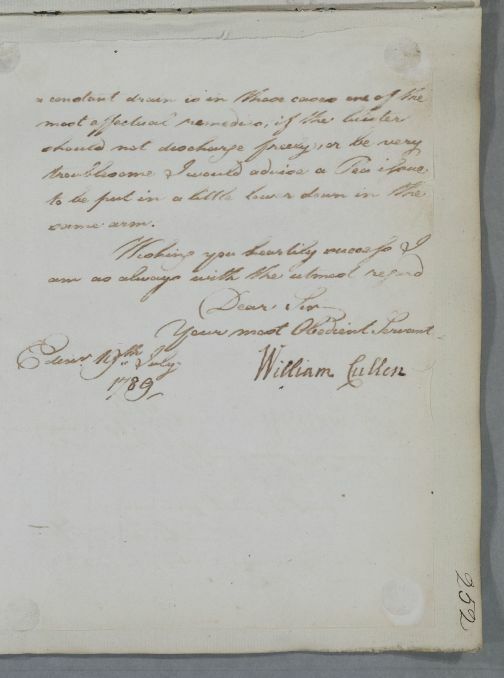 Cullen writes the letter concerning Miss Blacket 'lay unanswered longer than we wished, but it has now been made and I hope is come to your hand'. Summary Reply, 'Miss Blacket'. 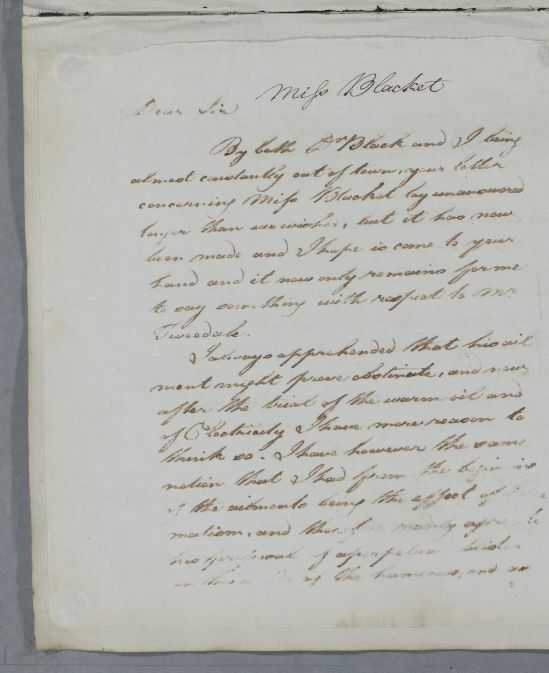 Cullen writes the letter concerning Miss Blacket 'lay unanswered longer than we wished, but it has now been made and I hope is come to your hand'. Case of Miss Blacket only known from Cullen's brief apology for his late reply. to say something with respect to Mr.